I love getting ready for Halloween but usually leave it so late and everything runs out, well not this year! 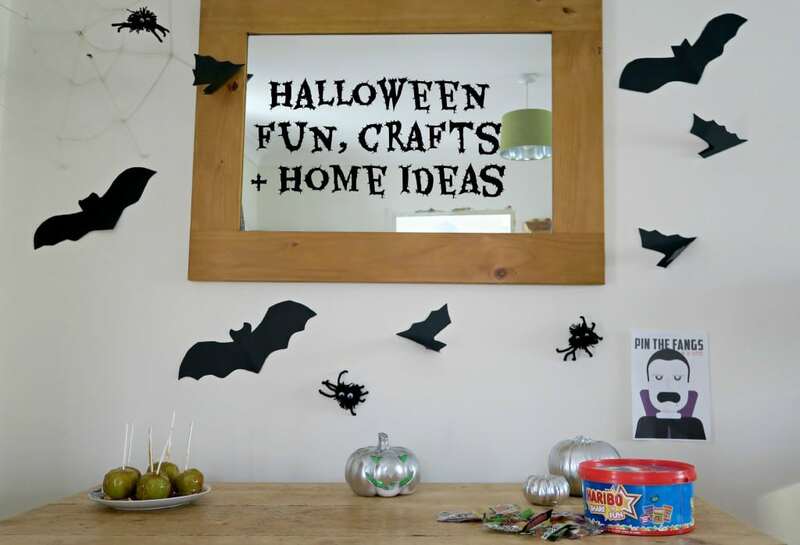 I have put together a few things you could do for Halloween from different crafts, home items, food and costumes. Toffee apples, to me these are proper Halloween and firework night food! I use to love going to see the fireworks and having a nice crunchy toffee apple! Very bad for you but I wanted to give them a go, I used this recipe however mine didn’t come out looking quite as nice as theirs! I created this really nice cocktail made from Cherry Good juice which I was surprised how nice it was. Being Cherry I expected it to be much sharper but it worked great with the lemonade. 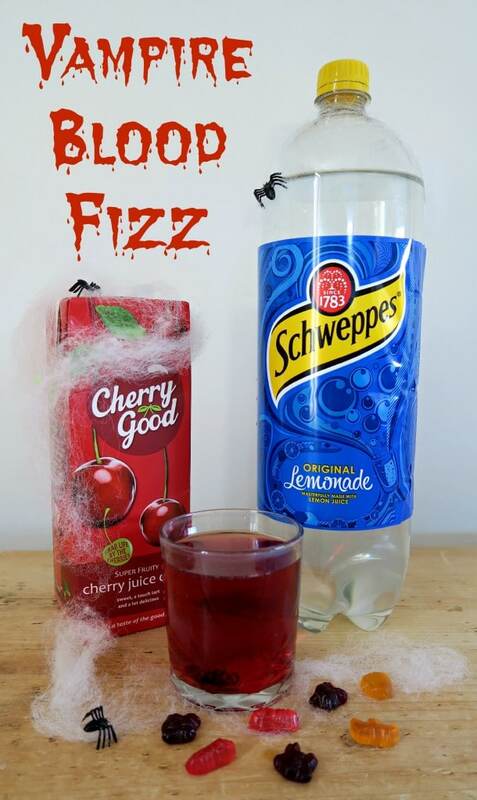 It is a very playful drink that the kids liked, there are also some ideas for grown up cocktails too. 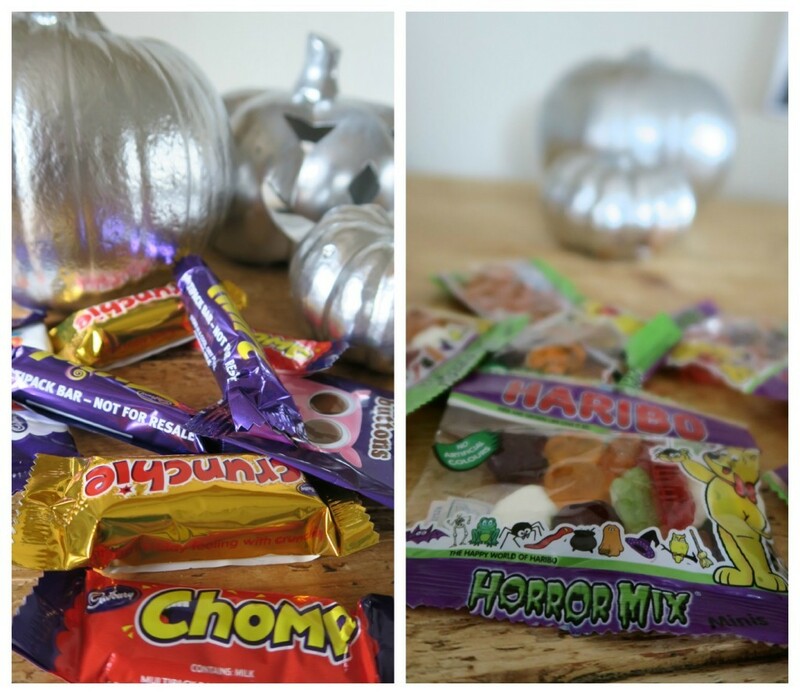 We are all ready with Haribo* and Cadburys* chocolates, I love that they come in little small versions which is great for trick or treating. 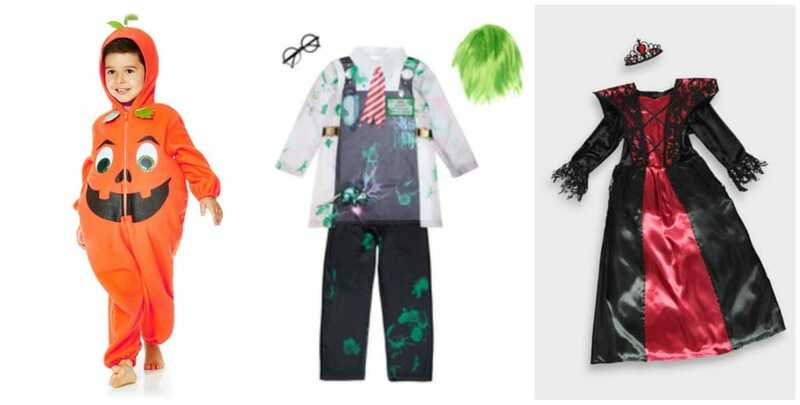 There are so many great costumes out there now, some really quite scary ones but some very cute ones too. My kids loved popping into the supermarket and choosing their costumes. We created bats from A4 and A3 black card by using a printed template found from a google search and stuck them to the wall with blue tac. 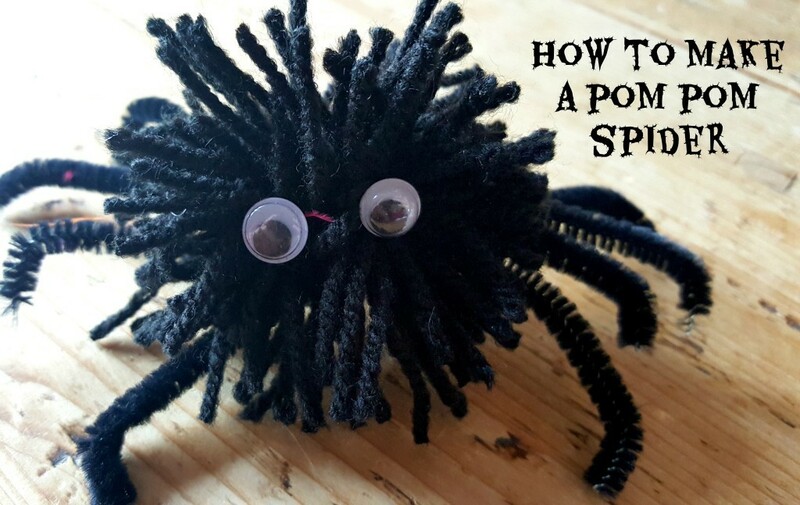 We made some very cute pom pom spiders which you can create yourself with my instructions. 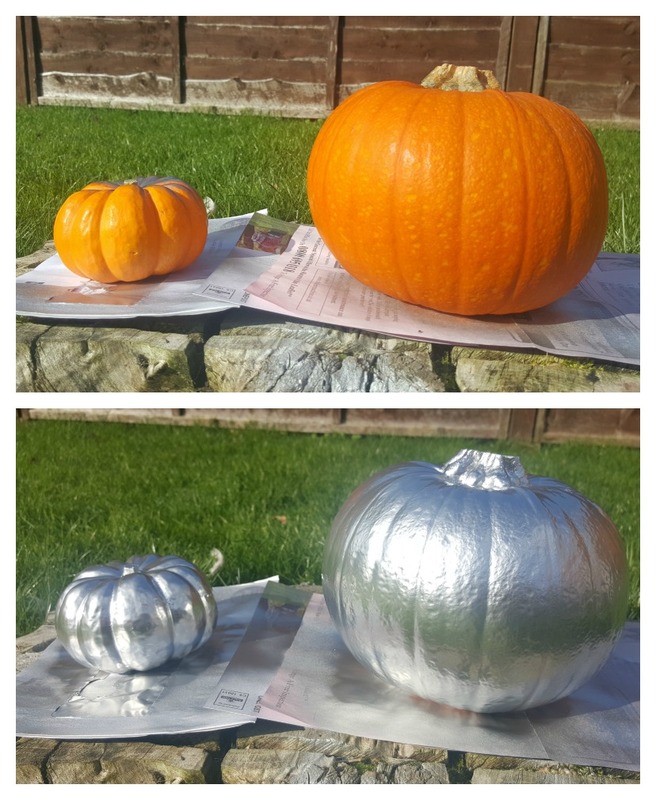 I saw Karen from The White Approach had come up with a great idea of painting pumpkins for a different Halloween effect, so I purchased some Metallic Silver Spray Paint . I took them outside to spray up and this is how they turned out! I also found a ceramic pumpkin in Hobbycraft, after smashing it and gluing it back together…….I sprayed that up too. I placed these very cool Colour Changing LED Candles inside of the ceramic pumpkin. Halloween is a good excuse to purchase some spooky decor, if you aren’t interested in being crafty and making your own then take a look at these items. Black and orange candles – I love these battery powered candles which are safe to have around children and great for going inside pumpkins. Yankee Candle * – Candy Corn, a sweet scent of candy corn is a fond reminder of Halloween fun and treats. This smells soooooo nice, I have had it burning every night for a week and only a tiny bit has gone down so this is going to last ages. We are all ready for Halloween now! Items marked with a * are items we have received as part of this post, however all opinions are honest and of my own. love the spray painted pumpkins, I want to give this a go. 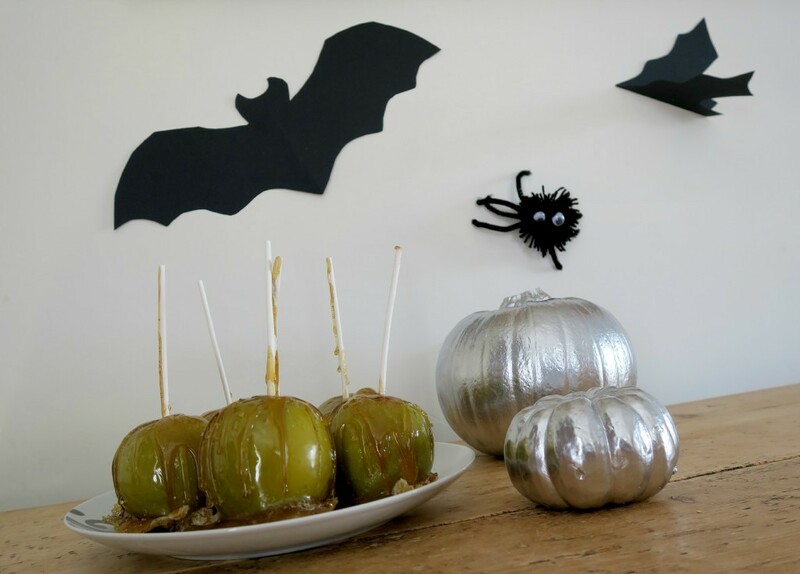 Also toffee apples are so yummy but Ive never made them, may try this year. We’ll be making those bats this year. They look great but simple to make. What a good idea! Thanks for sharing! Great post with some brilliant ideas. The pom pom spiders are really cute and I like the silver pumpkins, makes a change from carving them. Ooh, I love those spiders so much. Those and the bats will be gracing my table and wall. Thanks! Love the black bats – simple but effective. 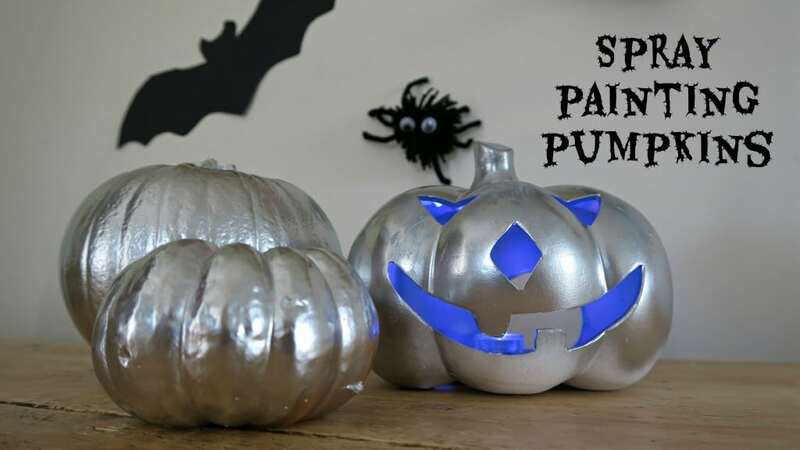 The silver pumpkins are ace too – makes a nice change from the usual orange! 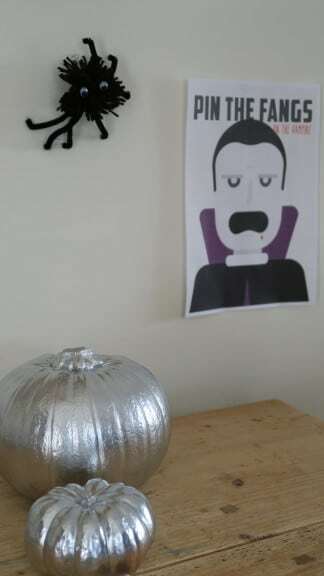 Love the spider pompom and the spray painted pumpkin, that’s given me an idea…….watch out Banksy! Some great ideas here. My favourite of all is the spray painted pumpkins, genius idea! I will be doing some of these for my home. Those Pom Pom spiders are really cute!